Pivotal Tracker allows users to manage projects through Epics, User Stories and related tasks. It also supports estimation to determine the team’s velocity and provides shared expectations of what work will be delivered in well-defined timeframes. 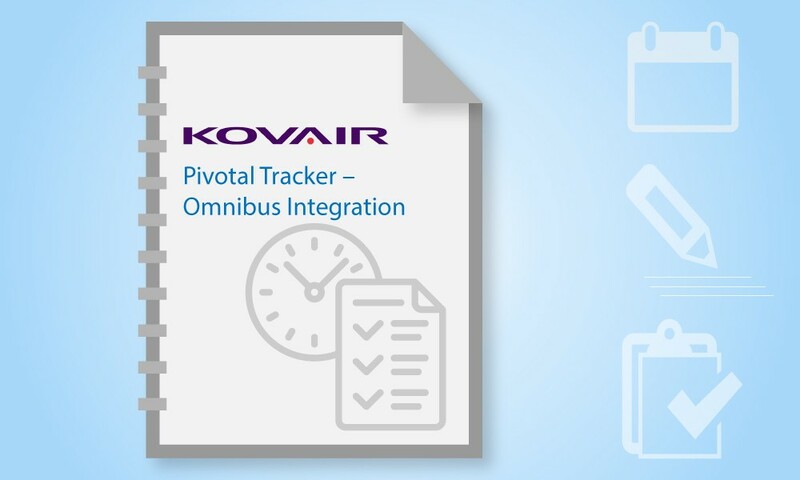 Kovair Omnibus integration with Pivotal Tracker along with other ALM and PPM tools can create a complete lifecycle that enriches the management team and developers to take proper decisions based on the progress made. Kovair Omnibus integration with Pivotal Tracker orchestrates the automation of information flow across multiple tools. You can also find out Kovair Pivotal Tracker Integration at Integrations section in Pivotal Trackers website.